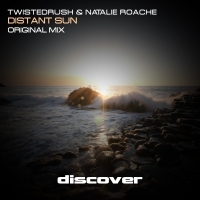 Natalie Roache first appeared on Discover last year with a deep techno excursion on our Code Red label to huge acclaim. Fast forward 18 months and its trance all the way as she brings you a collaboration with the equally talented TwistedRush. Together they bring you a classic in waiting with Distant Sun - a tune that exudes that classic old school feel good factor that typifies the very best trance tunes from years gone by. A tune that screams hands in the air and the sound of summer this is uplifting trance of the highest order.